We know that any woman can accommodate any size (after all babies come from there) and so I think something must have unsettled the woman to put her husband through such terror in a honeymoon. Many times, we overlook violence against men and this is inappropriate. We (at JCB) condemn this act even though it happened in South Africa. 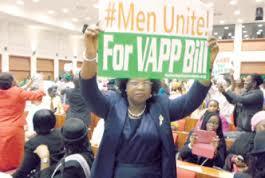 In Nigeria, there is a warning to those women who molest men either their husbands, house boys, drivers, boyfriends and even sons…you must know that the Violence Against Persons Prohibition (VAPP) bill is effective, and even while it awaits being domesticated in states, it will surely be. Right now, the FCT is where it is operational. Download this bill now law and read its provisions to guide your actions. It was signed into law in May 2015 inNigeria. 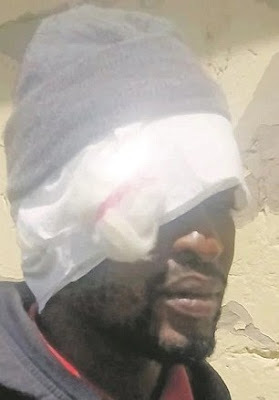 Meanwhile, since the SA couple have chosen counselling over Police prosecution, we hope the bride will stay away from hurting men in as much as we hope that men respect women and not raise a finger on us, no matter what we do or say.